This is an exotic chardonnay from the Solomon Hills Bien Nacido Vineyards in the Santa Maria Valley wine-making region of California. On the western edge of the Santa Maria Valley this is one of the coolest regions. This wine has aromas of Meyer lemon, tangerine, grapefruit rind and ginger. Exotic aromas of chamomile, white peach and passion fruit on the nose. This Solomon Hills is focused with a very rich, round mid palate and finish. Hand harvested and whole cluster pressed; it was then barrel fermented with native yeast and malolactic fermentations. Aging was sur lie for 18 months in French oak; 30% new. 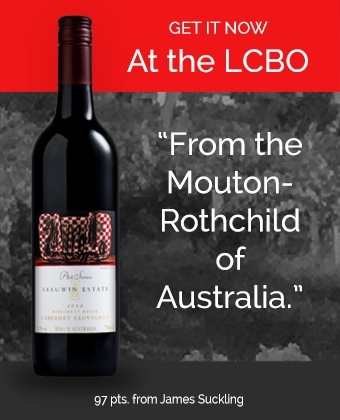 Available at LCBO stores across Ontario. Mas de Daumas Gassac, the iconic winery of the Languedoc produces beautiful assemblage wines with pride and passion. So when Terra Firma was approached to participate in Uncork the Mediterranean it was quick decision to say 'yes'. Sign up to receive the latest on new releases and interesting tidbits! Sell and promote your international Wine, Spirits or Craft Beer through the LCBO in Ontario, Canada. Book a consultation with Terra Firma Brands.